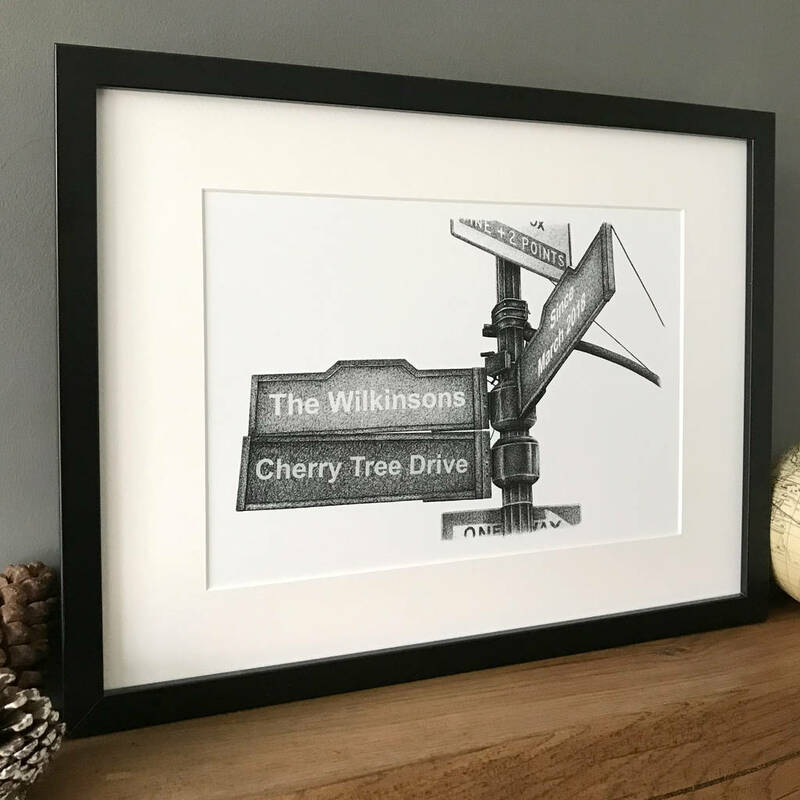 Our New York city street sign print can be personalised with your family name and important dates - a perfect gift for the home! Ideal personal print for anyone who loves New York, to commemorate a great holiday, or to remember a key date. Our street sign print makes a great gift for friends and family and something entirely different to any other print of New York. 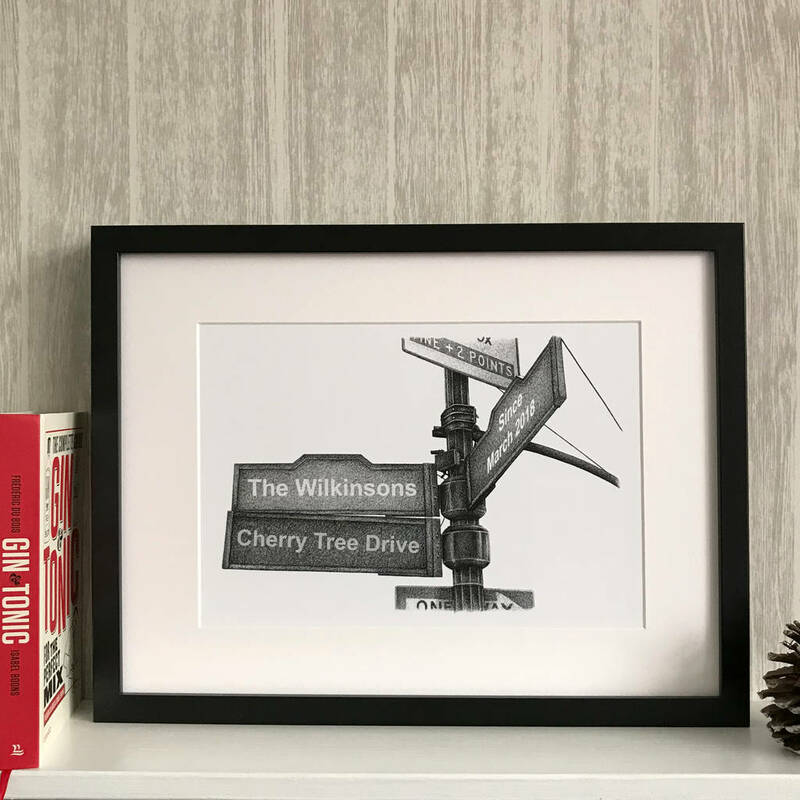 Each print comes with personalisation options for the three main panels, with the top and bottom section being un-editable and standard across all prints. This print comes in both A4 and A3 variants and with or without a frame. The main three panels can be personalised and come blank and standard with a dark grey background. When purchasing you can select text to fit in each section - if you include lots of text we will generally wrap it on to two lines or fit it as best we can within the panel. Printed on 189gsm archival paper. Addition of frame only available for UK customers. This product is dispatched to you by Michael Stephen Carter.